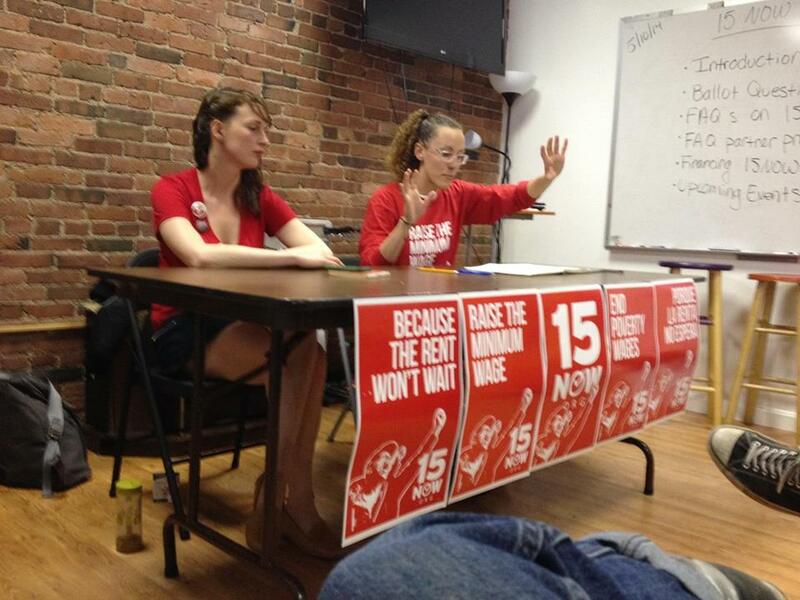 The 15 Now campaign is entering a new phase in Massachusetts, taking the question of a $15/hour minimum wage to the ballot in several state representative districts. We will be filing a non-binding ballot question asking the workers of the Commonwealth to vote in favor of a $15/hour minimum wage. Governor Patrick is proposing an increase to $10.10 over the next two years with no cost of living increase. This is not good enough, as $10.10 will not come close to fully addressing the tremendous cost of living in the Bay State. 15 Now New England will put it to a vote in several districts across the state, including East Boston, Jamaica Plain, West Roxbury, Dorchester, Worcester, Lowell and Amherst. It will allow the working people of Massachusetts to register their support for a minimum wage that actually will make a difference in our lives and living standards. 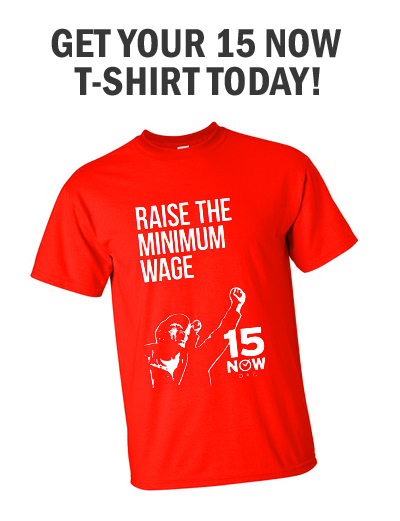 15 Now will use this opportunity to speak with workers to inform them of the movement and create a completely grass-roots campaign of community members. Because it is non-binding, the ballot question will not immediately affect the minimum wage, but by building community support and a significant base, the state legislature will be forced to take a real stand on the issue of the living standards of working people they claim to represent. We can make real change in New England by organizing around the question of $15 and registering our support at the polls this November. These next couple months are essential to ramp up the energy for the movement on the East Coast and 15 Now New England. Through our ballot initiative, we will be able to enter into working class neighborhoods, hold meetings and build a real grassroots campaign around this crucial issue facing the working class of the region. Previous PostThe Case Against a “Training Wage”Next PostThe Movement for $15 is Winning!